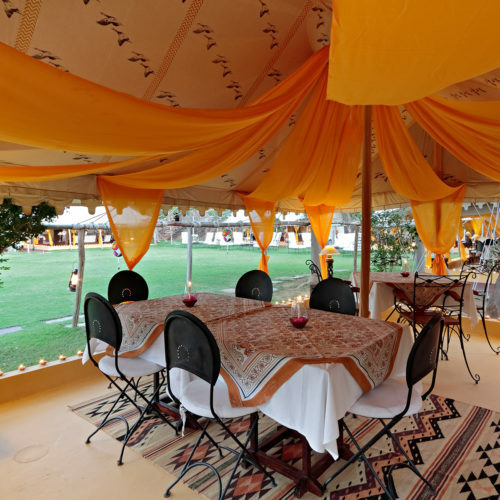 The Fort offers 6 large rooms and six garden tents. 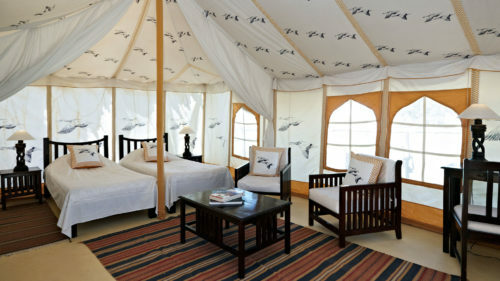 The pretty tents have bird motifs with pale blue and lemon interiors, and fixed bathrooms attached. The rooms are split over several levels some offering spectacular private balconies over the surrounding plains. 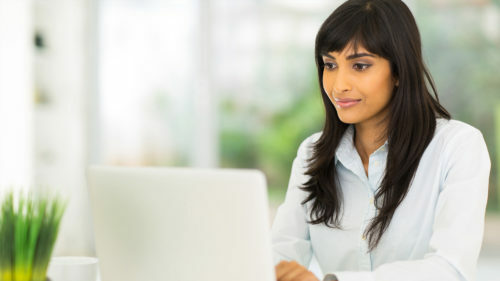 All are designed to a high standard with modern amenities, indoor fireplaces and large bathrooms. 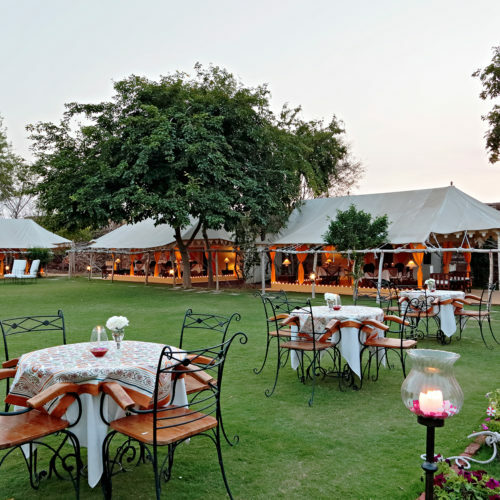 There is one dinning area which serves only fresh seasonal produce traditional cooked with local flavors.